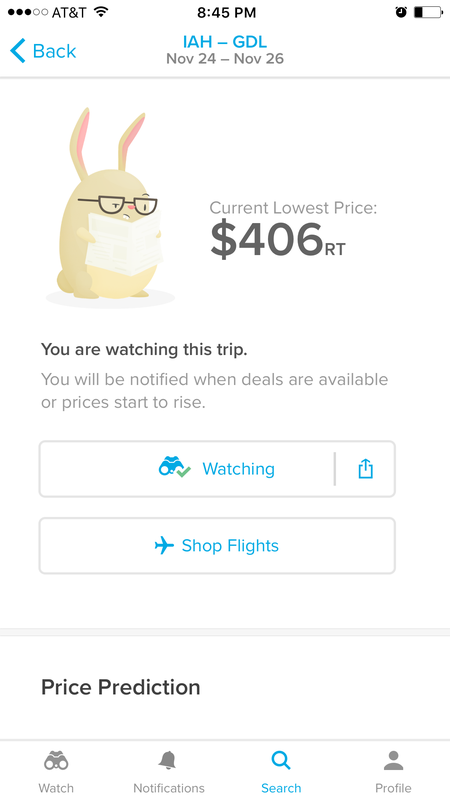 Today, I will discuss the Hopper app, the second method I use to track flight prices (part 1 is here). 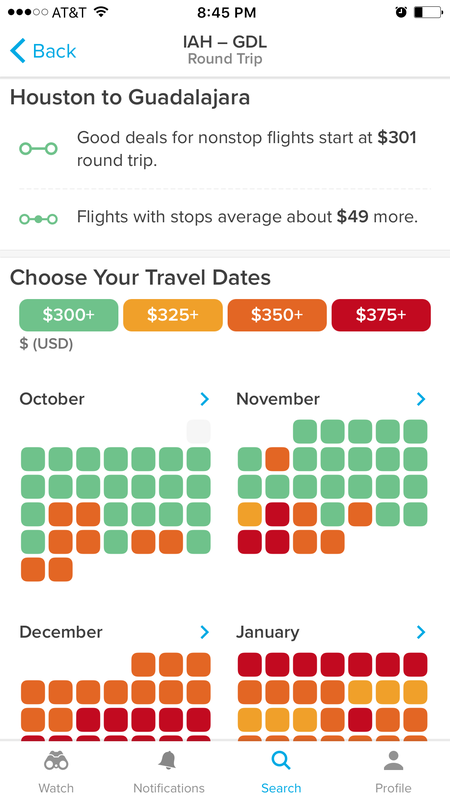 Hopper is a fantastic app that tracks flights based on destinations and dates, and sends alerts when flight prices drop. It is similar to the method I discussed last week, except it tracks all flights instead of specific ones. 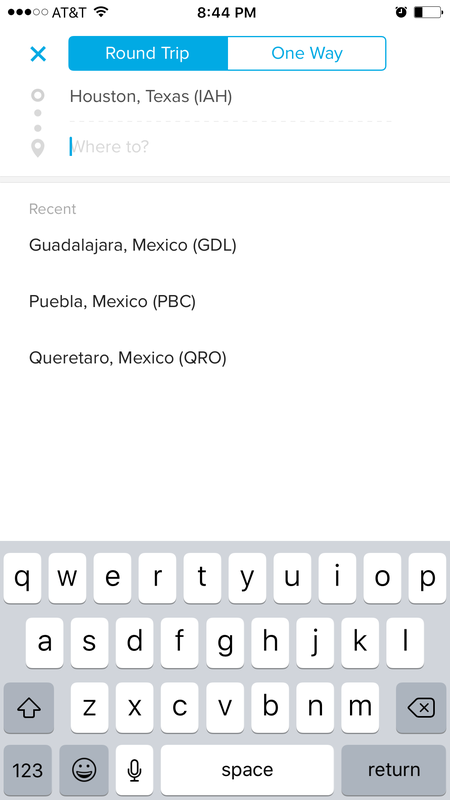 Hopper also recently released a filter that allows you to make additional filters to the specificity of the flights, such as number of stops. So far this has been released on the Android app, and will soon be released on iOS. 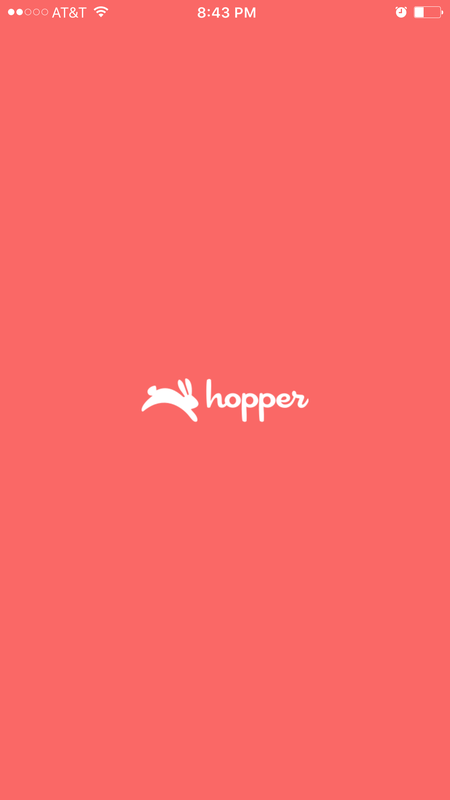 The first step to using Hopper is to download the app. I have an iPhone so I downloaded it from the App Store. The logo is a bunny, which makes sense considering the name. 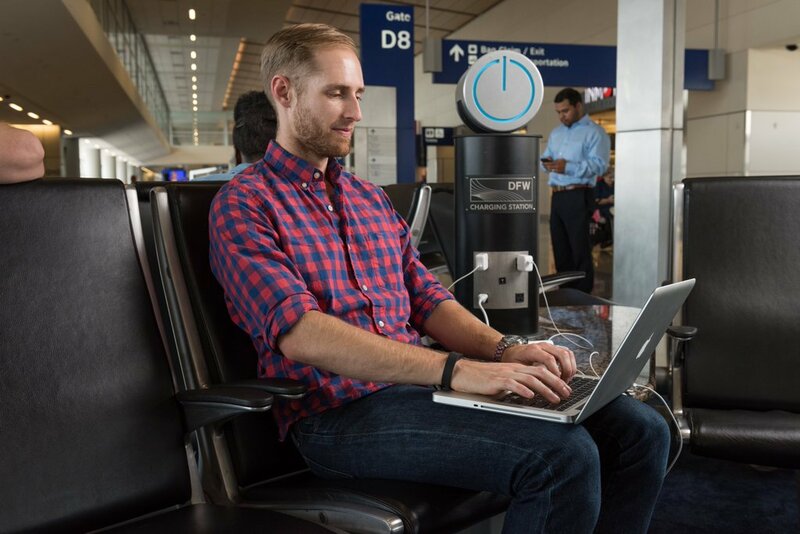 Once the opening screen is loaded, choose the origin airport and destination airport, unless you are selecting a one-way flight. 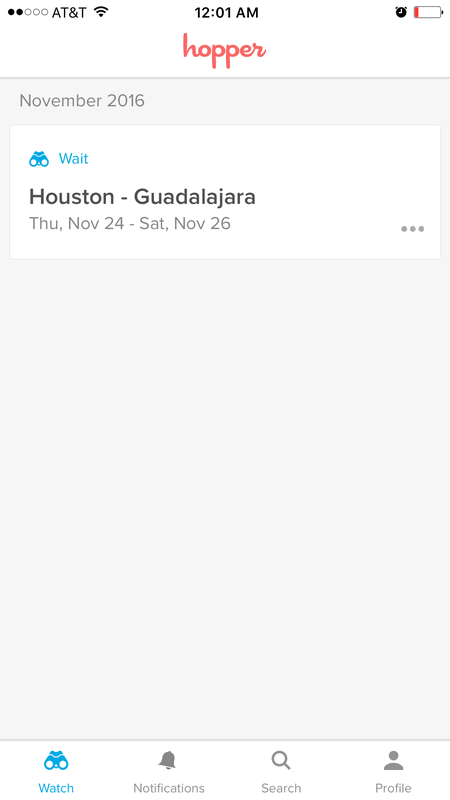 For this scenario, I will select the same cities as in my previous article, Houston (IAH) and Guadalajara (GDL). Now select your dates. Hopper gives a calendar that shows what dates have cheaper fares, based on predictive analytics. 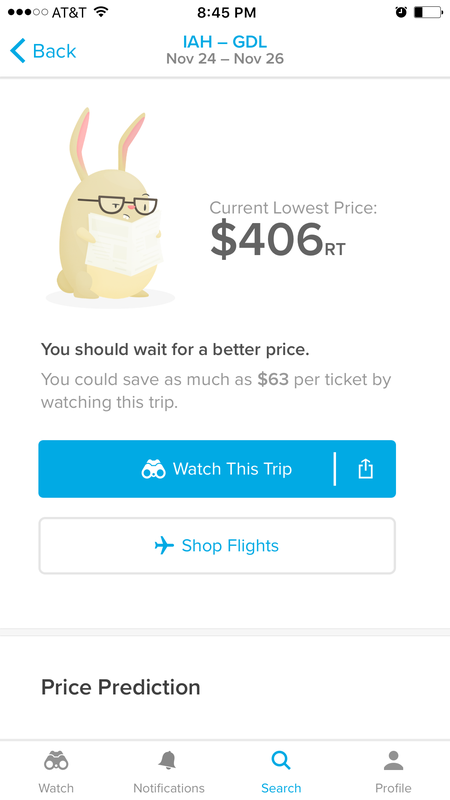 Hopper will now state what the cheapest flight is, and whether you should buy now or wait. 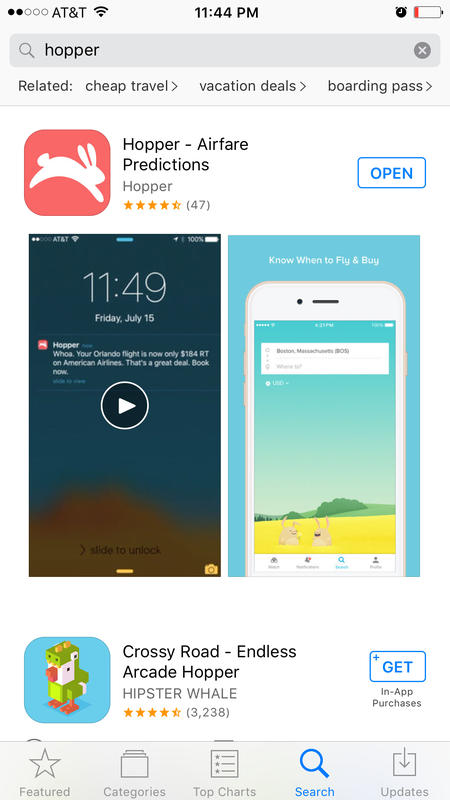 If you click the watch button, Hopper will watch the fare and send alerts if it drops at any moment. Upon any return visits to the app, you can check on any fares you have marked for watching. All in all, this is a wonderful way to track prices without spending unnecessary time checking prices manually. I highly recommend this app, as it has saved me hundreds of dollars since I began using it in early 2015.